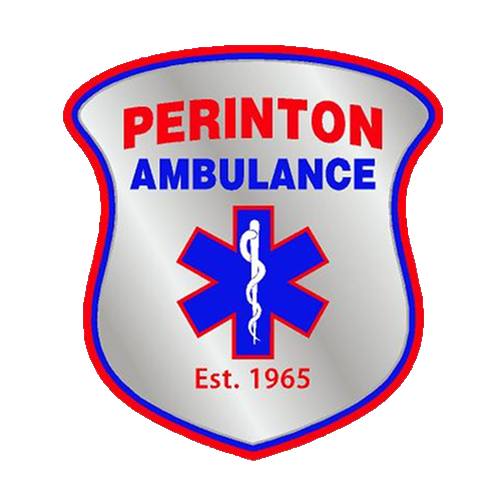 PLEASE NOTE: The Perinton Volunteer Ambulance Corps DOES NOT solicit funds via door-to-door or telephone methods. 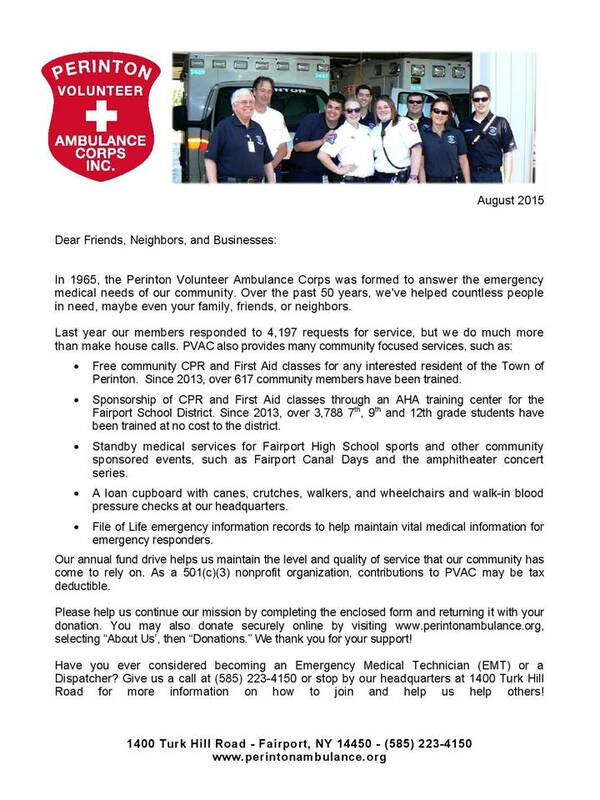 The only official method of solicitation is via a town-wide mailer and advertising via official Perinton Volunteer Ambulance Corps electronic medium (website, Facebook, Twitter, etc.). If you are solicited via door-to-door or telephone, please contact us immediately via phone at (585) 223-4150 or via e-mail.